Read more about Risotteria Melotti and all of our NYC picks in New York City: The Gluten-Free Guide, available now on Amazon. Though Risotteria Melotti opened in 2013, it has a warm and welcoming old world feel, thanks to its strong Italian roots. Owned by the Melotti family and its generations of passionate rice purveyors, this cozy East Village spot is the family’s second restaurant. You’ll find the Melottis’ much-loved recipes served at both the New York City and Verona locations. Every dish at Risotteria Melotti, from the toasted rice cakes to the signature risotto to the rich desserts, is gluten-free. And one thing is certain: the Melotti family certainly knows its rice. 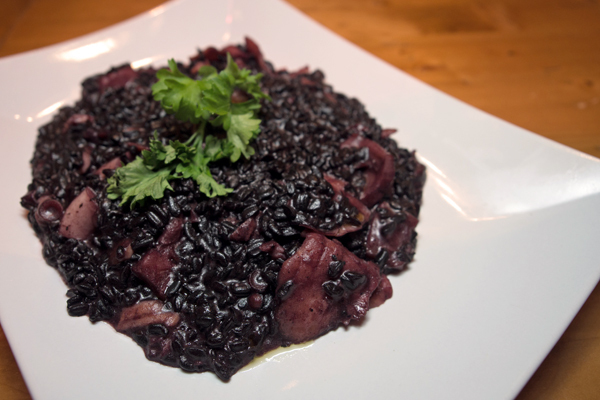 When you peruse the menu, you’ll see rice prepared in ways you never knew possible. 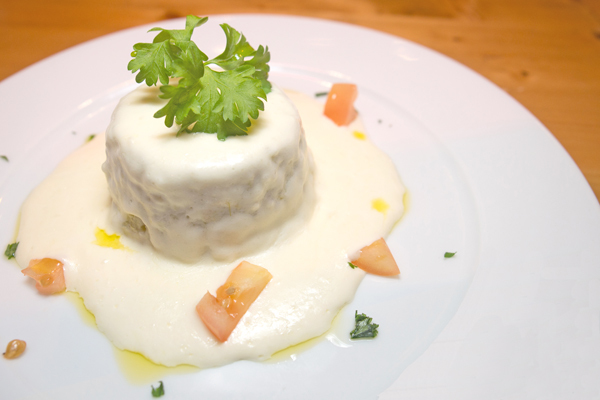 Most of us are familiar with risotto, but what about arancini, polenta, or sformato? The antipasti menu at Risotteria Melotti is extensive, and chances are you’ll want to sample a bit of everything. This is an excellent idea! 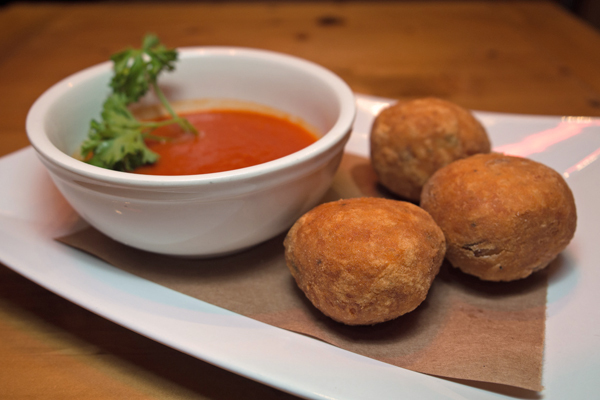 The arancini, or fried rice balls, change daily and are usually made with mushrooms, cheese, or pork. 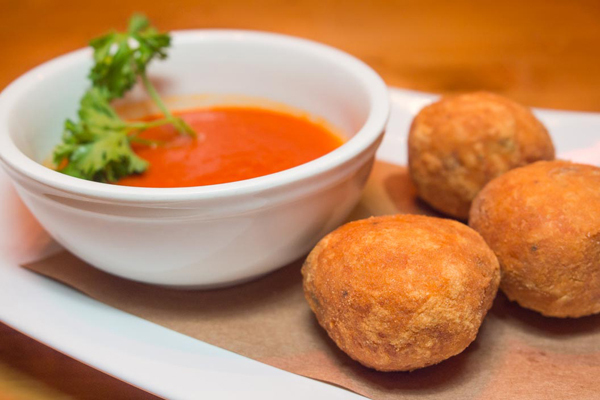 Each one is slightly crunchy on the outside, a little gooey on the inside, and just right dipped in marinara. The polenta is unlike any corn-based polenta you’ve had before. It’s smooth, creamy, and topped with flavorful mushrooms. The sformato, however, is the showstopper. A sort of risotto flan, Risotteria Melotti makes its sformato with asparagus and covers it with a generous helping of caciocavallo cream. If you love a rich, cheesy dish, this is the indulgence for you. Don’t forget to save room for the main course, though. 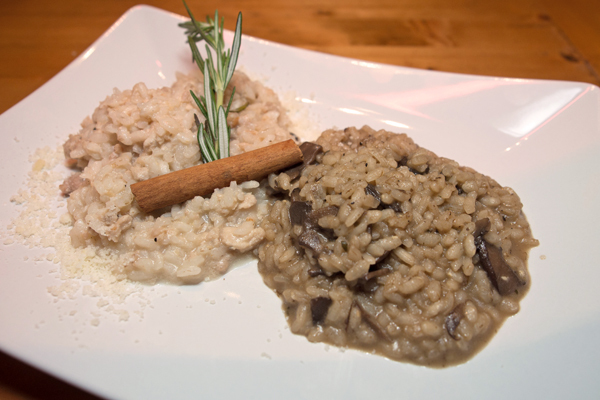 You can order Risotteria Melotti’s specialty, risotto, in at least a dozen different ways. The traditional All’Isolana, with pork loin, pancetta, and parmesan cheese, is the best seller here and a solidly delicious choice. 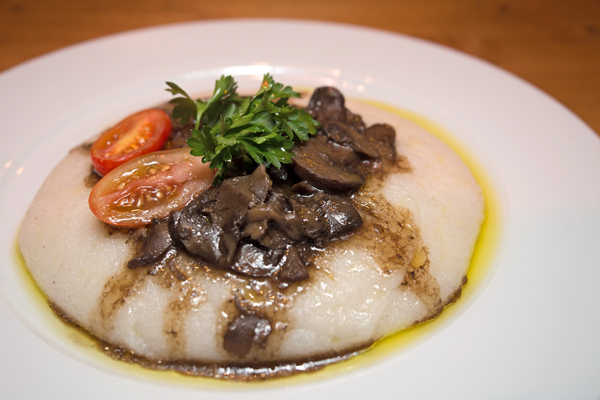 Vegetarians won’t go hungry either, with risotto options like the savory funghi or veggie-filled vegetariano. If you’re really feeling gourmet, though, go for the All’Antara with duck breast and rosemary, the Al Cartoccio di Crudo with figs and prosciutto, or the new black risotto with octopus. 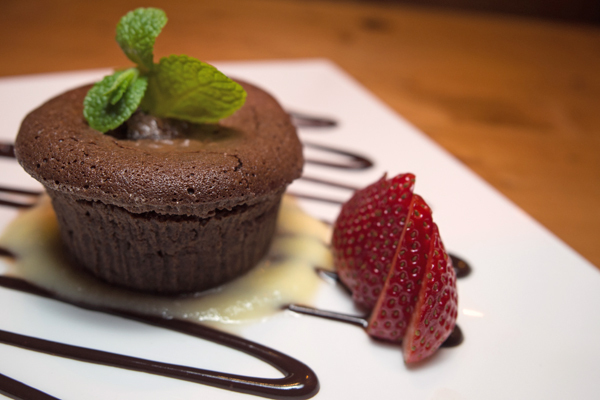 If you still have room for dessert, Risotteria Melotti won’t disappoint. The gluten-free tiramisu, made with mini vanilla cakes, is stunning, as is the warm chocolate cake with lemon creme. There’s even gelato, sorbet, and semifreddo if you’re in the mood for something a little lighter. Risotteria Melotti, tucked away right off of 2nd Avenue, is an intimate, cozy spot that’s perfect for a date, a small family group, or an indulgent get together with friends. Our recommendation? When you go, take along as many dining companions as you can, and order absolutely everything. You’ll love every delicious gluten-free bite! Where? 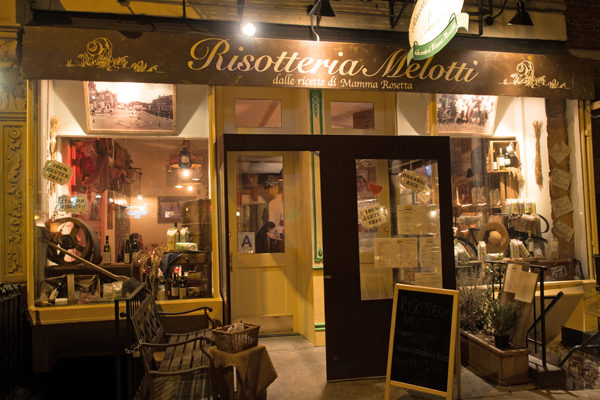 Don’t miss Risotteria Melotti in the East Village at 309 East 5th Street, New York, NY 10003 (646-755-8939). Disclaimer: Risotteria Melotti graciously hosted us so that we could share our experience with gluten-free readers around the world. As always, all opinions and enthusiasm are our own.